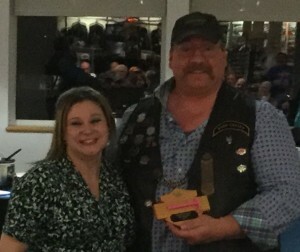 The Pink Razor Award is an annual award given by the Ladies of Harley to a male Chapter Member or Dealership Employee who has gone above and beyond to assist L.O.H. throughout the past year. L.O.H. nominates and votes during the monthly meetings to select the recipient. 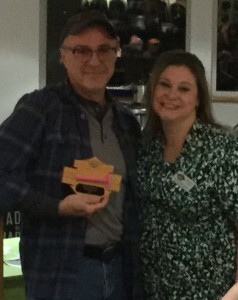 This year, we had a tie between two very deserving Chapter Members: Pat Campbell and David Privitera! Last year, both Pat and Dave outdid themselves to help the Ladies of Harley. They have been there to provide early morning escorts to chapter rides and to provide a riding buddy on the journey home after chapter rides. We’ve seen them tear down, repair, fix, and rebuild bikes in multiple Chapter Member’s garages. They were part of building a strong foundation of support when L.O.H. needed it the most. L.O.H. is honored and humbled by the generosity and kindness you have both shown us and we are proud to award you both with Pink Razors! Powered by WordPress and assembled by Kelly Halldorson.